It's time for Week 7! This summer certainly feels like it's cruising by, so we hope you all are getting out there and enjoying long dinners on the back porch. Every week, we load you up with the freshest and tastiest foods we can find that were grown right around here. 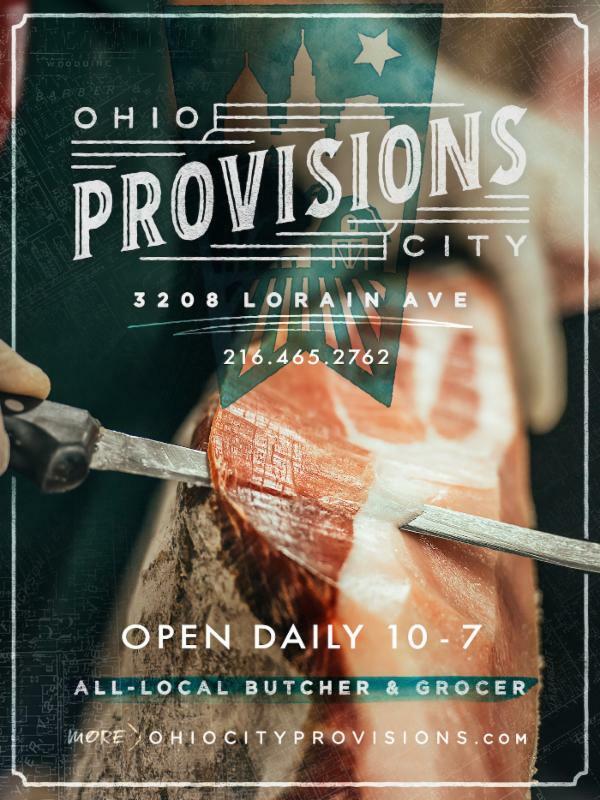 We're connecting you with locally-grown foods and the people who grow them, of course, but also hopefully with the joy of smelling, cooking and preparing delicious meals to enjoy with your favorite people. 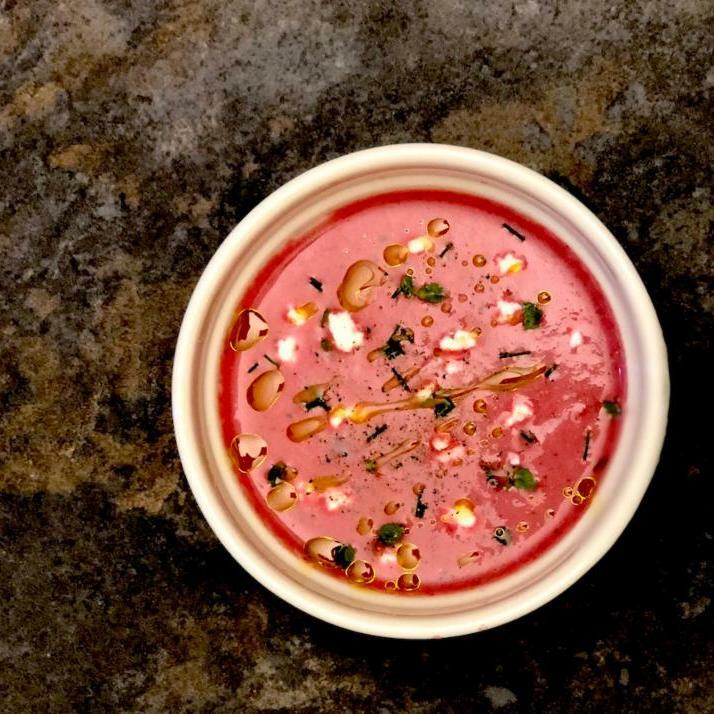 Have any new favorite recipes? Send them our way ! This week, we've got a major bag coming your way: potatoes, carrots, zucchini, berries, peaches and even a whole chicken. And have you ever tried an Adzuki Bean ? 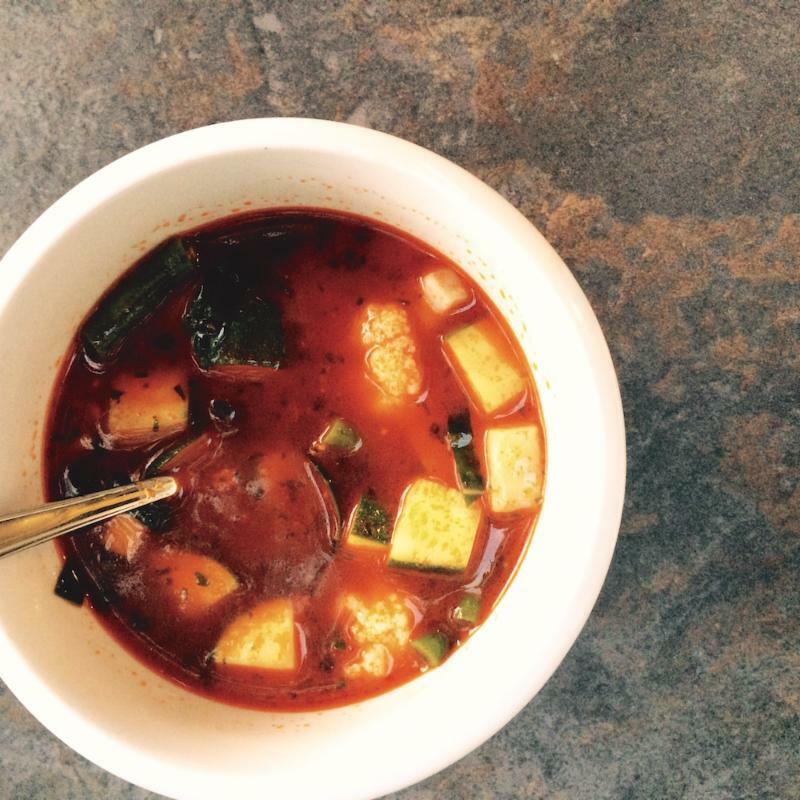 Keep reading to see what's coming in your share, and find some recipes to map out those back porch meals. 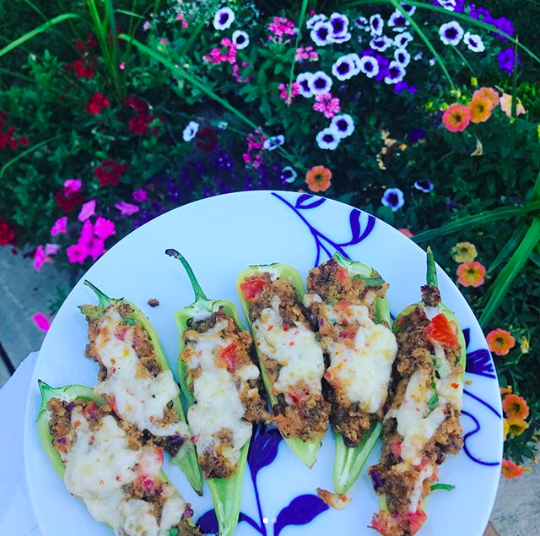 Adding some heat to a summery night, @clevelandlunchfix stuffed some banana peppers with chorizo, green & red onions, mayo, sour cream and breadcrumbs, and then topped the whole thing with pepper havarti-- delicious! WHY RAISE CHICKENS ON PASTURE? Commercially-grown chickens have only about 1 sq. foot of space each to call their own inside a large tin-sided building (a “Chicken Barn”), which has vents and fans to blow fresh air in and stale air out. Technically, these birds may qualify as “cage free” or even “free range,” which would mean they have access to some outdoor space even if they never use it. Another reality of life for the commercial broiler chicken (a chicken harvested for meat as opposed to a laying hen) is that life is short: they are carefully managed to grow rapidly enough that they can be harvested (sent to the slaughter facility) at 4 to 5 weeks of age. The farmer then quickly cleans his barn before new chicks arrive and the aggressive cycle starts again. The poultry company owns the chicks, provides the feed, and guarantees the sale. The farmer is paid around $0.40 per bird for his work and attempts to turn 100,000 birds per batch. We take a different approach, as you might guess, and it's a lot slower: it takes us on average 8 weeks to finish out a broiler chicken. Why so much longer? 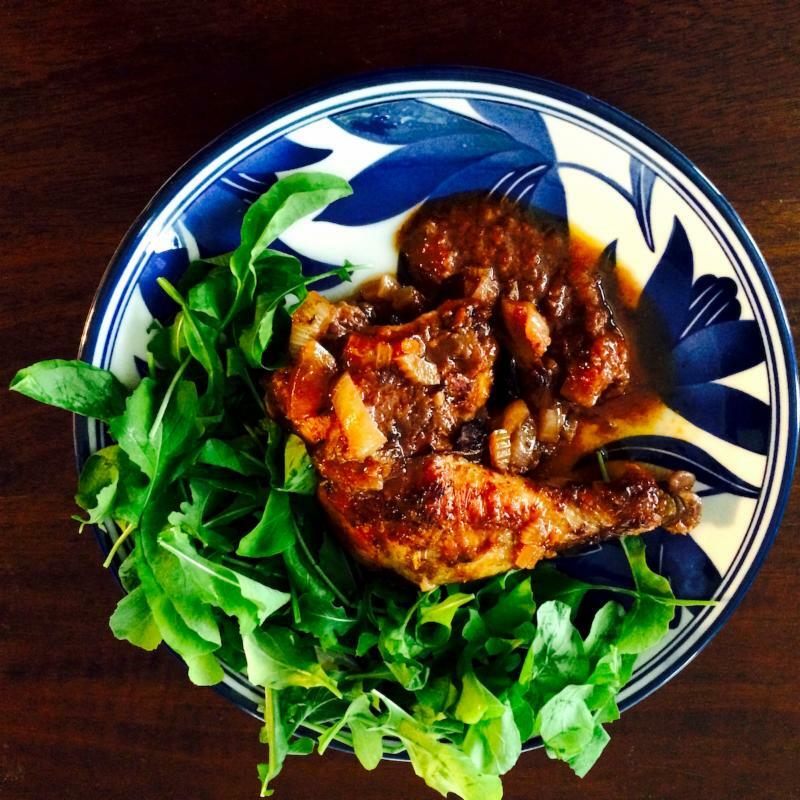 It boils down to different genetics and lifestyle, and that we value the health and flavor of the chicken over the quantity, scale and cost. Our birds live outside in large mobile pens called chicken tractors (see below), and occasionally, another mobile set up called a "Shade Wagon," which protects them from the midsummer heat. Each tractor allows about 35 chickens (5.6 sq ft per bird) access to fresh grass, seeds and bugs in the soil, as well as some protection from the elements. It is moved daily to provide fresh grass to the birds and promote healthy pastures. 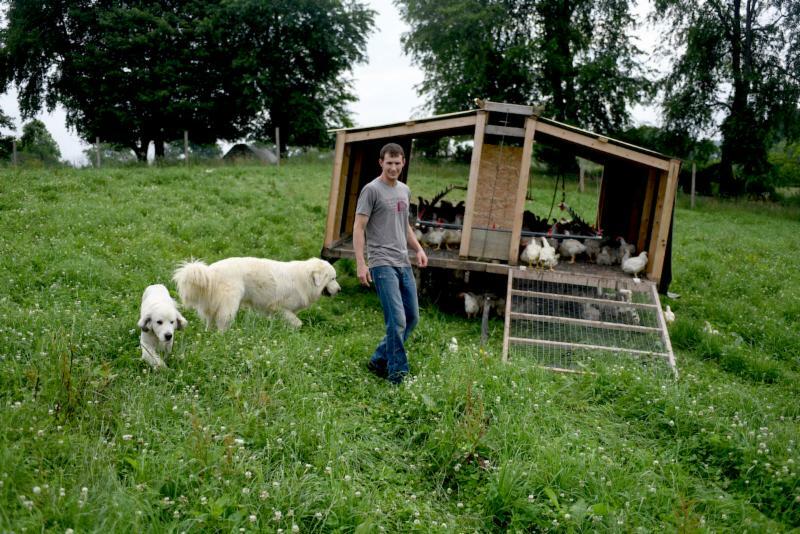 As the chickens grow and need more pasture, they are moved up and down the fields daily. This “rotation” style of animal husbandry is an essential part of sustainable farming– the chickens follow the cows around the farm, picking at what they deposit in the grass. This results in fertilized, aerated and razed fields, and then it’s left alone for new grasses to grow. These grasses then feed the next round of cows, and it just keeps on going and growing. From left to right: Mia, Zeke & Trevor with the chickens down at Wholesome Valley Farm. Click on the button, "Pay My Bill"
All credit card payments are subject to a 3% service fee. Visa & MasterCard only. Call 800-861-8582 to make a Credit Card payment over the phone. Our business hours are 9am to 2pm, M-F, but we're often in and out of the office. If you get our voicemail, please leave a message with a good time and call back number and we'll get back to you as soon as we can. 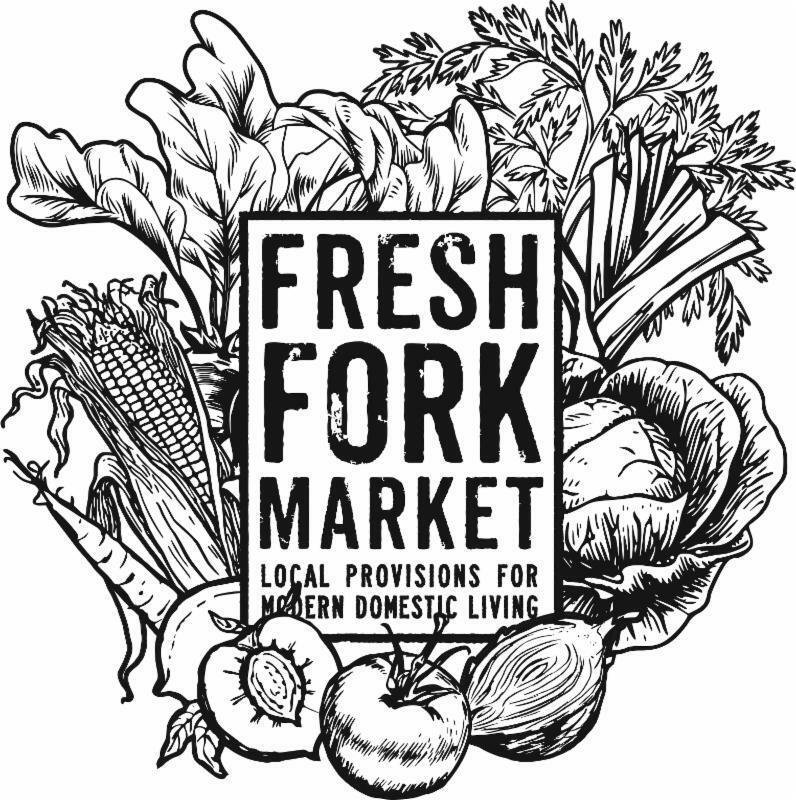 Bring a check made out to Fresh Fork Market and include your email address as well as the note "Account Payment" on the check. If you decide to pay with cash, please make sure to ask your Greeter for a receipt. OUR NEW FLOWER FARM, FARMSTEAD BLOOMS. Over the last five years, growing flowers started as a hobby, became a passion and bloomed into Allyson Fink's full-time job. At first, she slowly transformed her Detroit-Shoreway yard from sod to cut flowers. Her gardens were full of Dahlias, Lilies, Sunflowers, Rudbekia, Cosmos, Daisies and more. She would cart in baskets of flowers to decorate her downtown corporate office. Outside of her 9-5, she has spent many years working part-time and behind the scenes for Fresh Fork. Living seasonally and locally became a lifestyle. 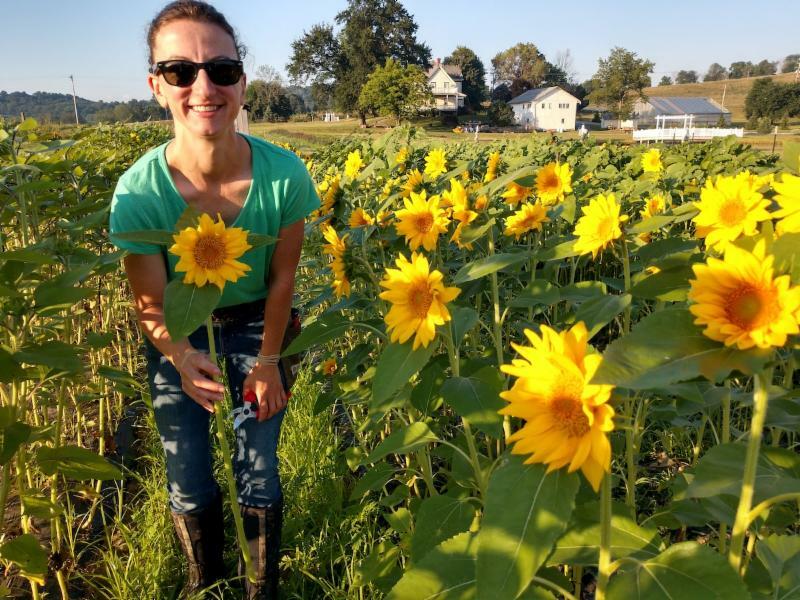 After watching Wholesome Valley Farm grow and become part of the family of businesses, there was new opportunity (and land) for something that has always brought her joy: flowers. It was time to take her office from the desk-to-the dirt: she packed up, said goodbye to her co-workers and enrolled in some courses to learn more about professional flower farming. Over the winter of 2017-18, Allyson planned her fields, the harvest schedule, and the colors of her arrangements. By March, she had started thousands of plants in the greenhouse, and spent the next three months nurturing her flower babies – water, nutrients, heat and sunshine. Her basement transformed into a growing space for delicate Carnations and Lisianthus. In May, the flowers hit the ground and the work became real. 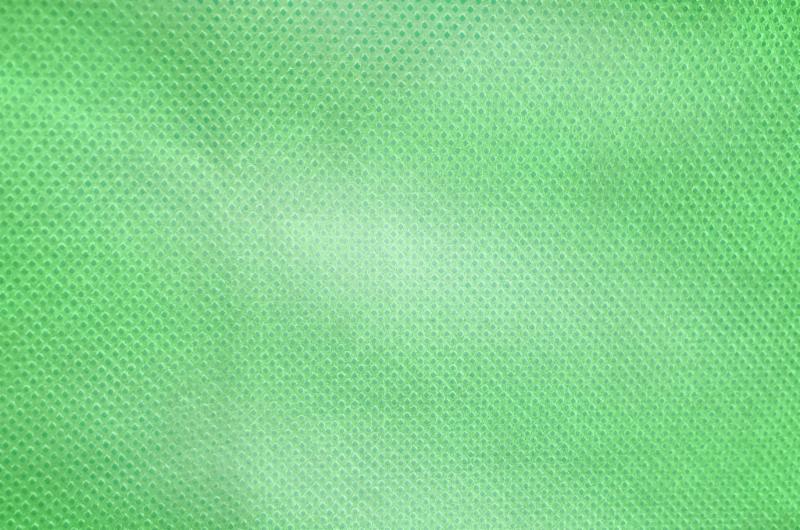 Her work struggles are different now than when she was in the corporate world: she’s battling the rain and heat, pulling weeds and hoeing the rows, and fighting Japanese beetles, flea beetles, and more. But the work is rewarding, and at the end of the day when her flowers bring a smile to someone face, it brings her happiness. We're hoping to have her bundles for sale at all of the stops at some point this summer, so keep an eye out for Farmstead Blooms! 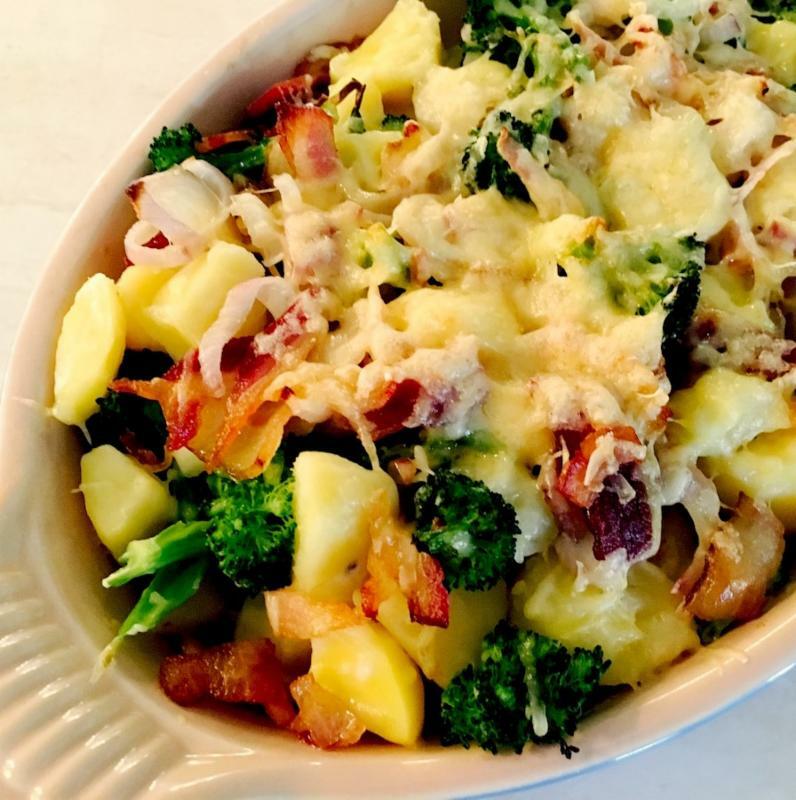 Not going to use up that whole pack of bacon in one meal? Try this trick to store your extra slices until you need them. 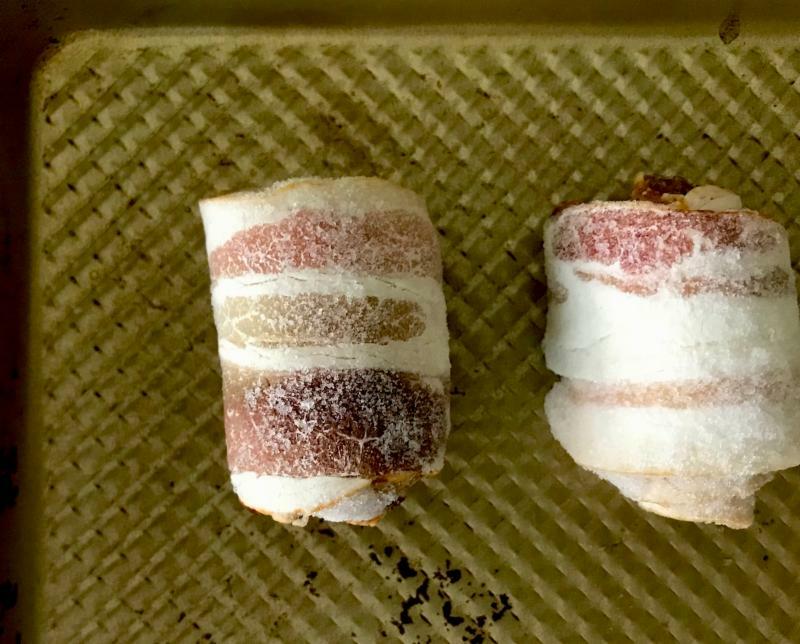 Defrost the entire package of bacon, and then roll up each individual slice into a little hay bale. Set the bundles in rows on a small sheet pan, cover with a plastic wrap, and freeze (1-2 hrs.) Pop off each little individual bacon roll-up, and add to a labeled, freezer-safe bag. Now you can defrost the exact number of slices you need! All these summer fruits are just begging to be made into a pie, a crumble, a tart or some muffins. Pick up a bag of one of our flours to help make your dessert dreams come true! All Purpose Flour - good for all your baking needs. Golden White Pastry Flour - best for cakes, cookies and pastries. Golden White Hard Wheat - dense, richly flavored flour that's great for bread baking. Cornmeal - use for corn muffins, cornbread or polenta. Whole Wheat Flour - great for general baking, but does absorb more water than AP. 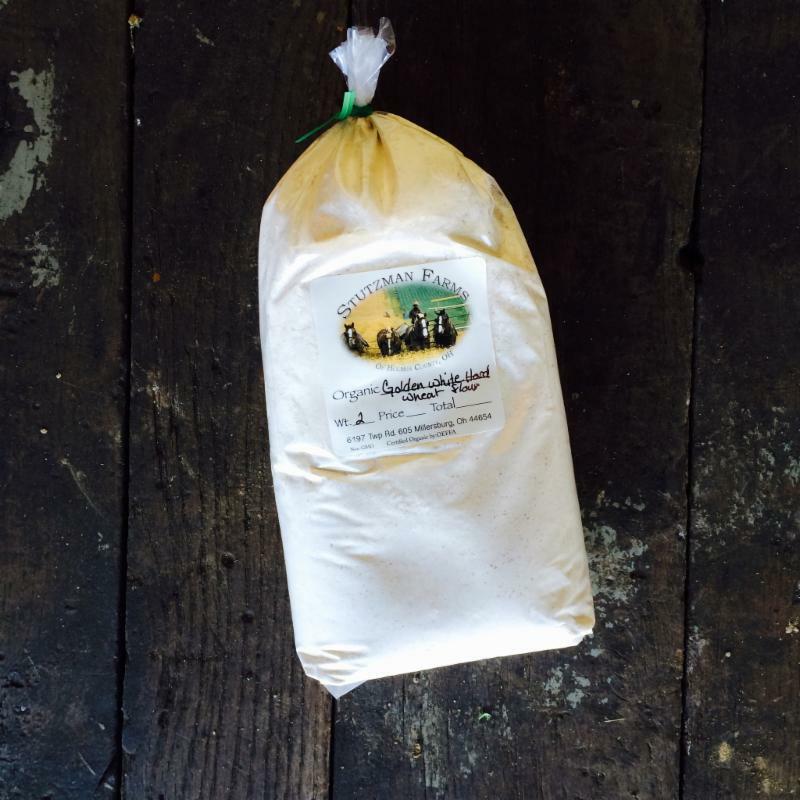 All Stutzman grains and flours are organic and come in 1.5 - 2# bags, and should be stored in the fridge or freezer. $3 each. 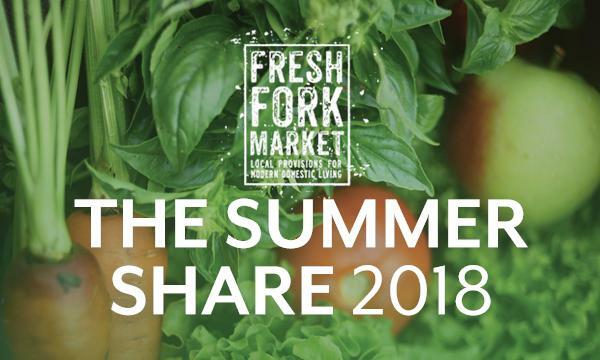 This past Sunday, the whole team from Fresh Fork Market, Ohio City Provisions and Wholesome Valley Farm gathered down at the farm for a picnic and grill out. 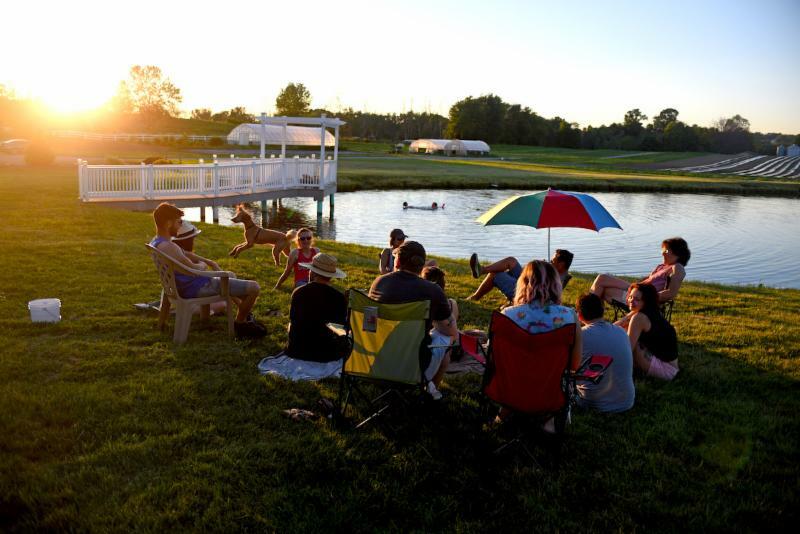 We brought our families, played games and ate great food, and got to visit with one another as the sun set over the fields. The kids loved playing in the pond, seeing the new piglets in the sow barn, and petting the turkey peeps-- just 1 day old!